With 302 points in 261 regular season games, it's obvious that Brendan Leipsic can play. He's also scored 73 points in 76 playoff games so he's a guy you can depend on when it counts. And with a total of 468 career penalty minutes on his WHL resumé, the 5'10, 177 lb forward has a proven track record of "getting involved". Everyone has an opinion on Leipsic; those that dislike him are mostly opposing players. I can tell you from speaking with them that there are a number of non-players around the league who aren't fans either - executives, coaches, support staff, media. They say he's cocky and arrogant, a dirty player who cheap shots guys then "gets tough once a linesman has stepped in to save him". Personally, and I've said this many, many times on The Pipeline Show, Brendan Leipsic can play on my team any day. He's tenacious, he's talented and he not only "knows the role" but he thrives doing it. That's not always easy to find. Sure he's undersized and who knows if he'll play in the NHL but there is ability and determination there. I've always said he reminds me of Boston's Brad Marchand and I still feel that way. But what he did late on Friday in a 7-3 game was not something anyone likes to see. A hot topic at Saturday night's Oil Kings / Tigers game was the spearing major given to the Portland forward. The video and my thoughts on the suspension after the jump. 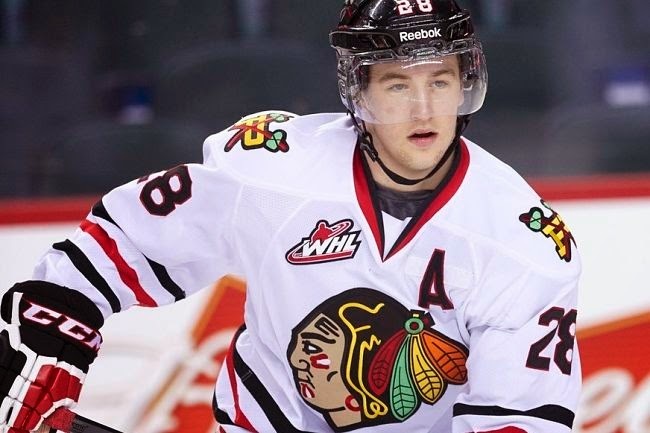 For a 3rd straight year the Portland Winterhawks and Edmonton Oil Kings will meet for the Ed Chynoweth Cup. Each has a title in the last 2 years and have built up a healthy dose of dislike, even hatred for each other. Portland will likely be the favourite on paper, but outside of Oregon most will be pulling for the Oil Kings as the Winterhawks have made few friends with their rule breaking actions in recent years. 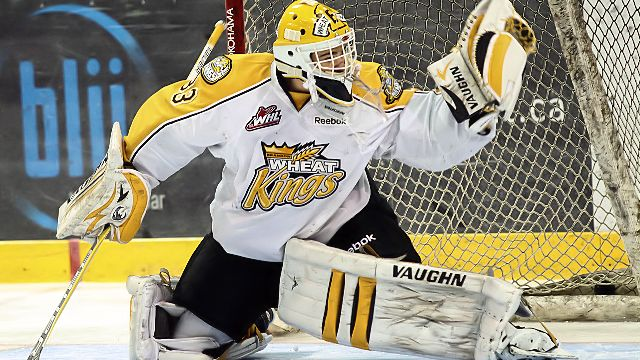 Earlier this season our radio audience and blog readers were introduced to Brandon Wheat Kings netminder Jordan Papirny. 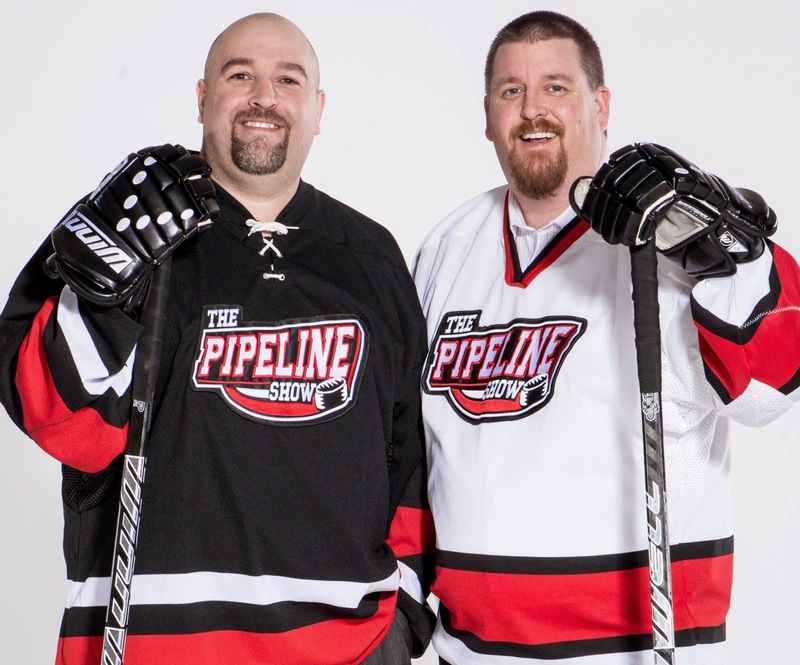 The Edmonton product was an In Studio guest on The Pipeline Show last summer then began writing his draft blog in the fall. Chapter One was released back in September. Chapter Two soon followed in October. Then, as sometimes happens, the player got too busy, needed to stay focused, and the blogging suddenly stopped. It wasn't hard to figure out why as Papirny began playing more and more. As the playoffs began and the wheat Kings advanced past Regina, it finally gave us a chance to watch Papirny live and in person; the goaltender did not start either regular season game at Rexall Place between. It was well worth the wait as the Papirny put on a show despite an endless assault by the Oil Kings. The Medicine Hat Tigers were a much better hockey team in game 2 of the WHL's Eastern Conference final and might have caught the Oil Kings a little sleepy on Easter Sunday, but it still wasn't enough to pull even in the series. Edmonton had enough skill, goaltending and defending to ward off the Tigers in a 3-1 victory at Rexall Place. After a scoreless first period that featured chances for both sides, it appeared that Dyson Mayo opened the scoring 34 seconds into the middle frame - which would have been the 5th from the blue line so far in the short series - but the goal was later given to Curtis Lazar, who also scored the series' first goal. Later in the period with the Oil Kings down a man after a having 6 players on the ice, Edgars Kulda showed dogged determination and would not be outworked for the puck as he set up Curtis Lazar. The Senator pick dangled past Marek Langhamer and tucked in his 2nd of the game and 6th of the playoffs for a 2-0 lead. But unlike Friday night when Edmonton walked all over the Tigers, Medicine Hat pushed back. On a power play Chad Butcher zipped home a wicked wrister off the bar and past Tristan Jarry. That made it 2-1 and the Tigers tested Jarry several more times in the period outshooting Edmonton 15-12, trailing by one heading to the 3rd. But that's where Edmonton buttoned things up. They were tighter in their own end, forced turnovers and putting up 17 shots to the Tigers 7 with Kulda salting it away with and empty net goal. There was a little rough stuff near the end as Tyler Lewington and Henrik Samuelsson tried to fight and Jacob Doty taking a slashing penalty with 5 seconds to go, and you should expect that to continue Tuesday night in Medicine Hat. 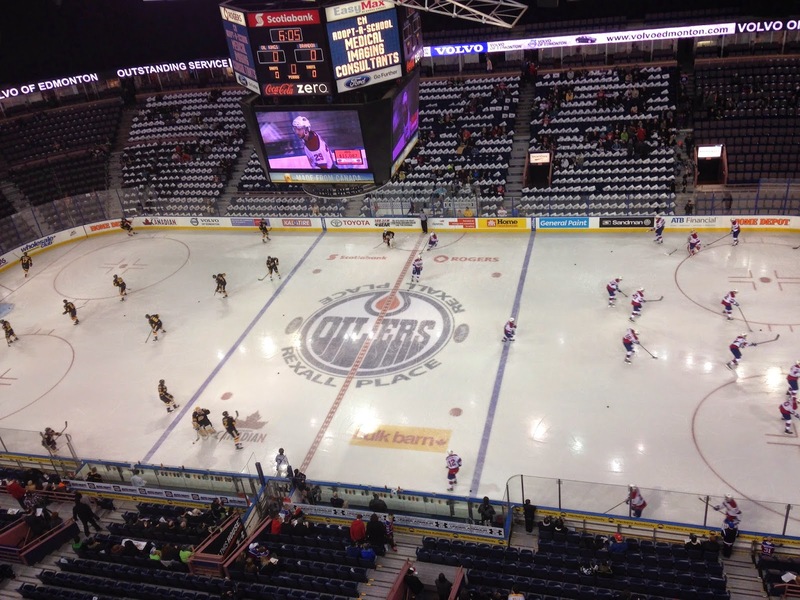 The Tigers will have atmosphere and last change on their side and showed on Sunday they can skate with the Oil Kings, but like Prince Albert and Brandon before them they'll need to be much better to get back in the series. 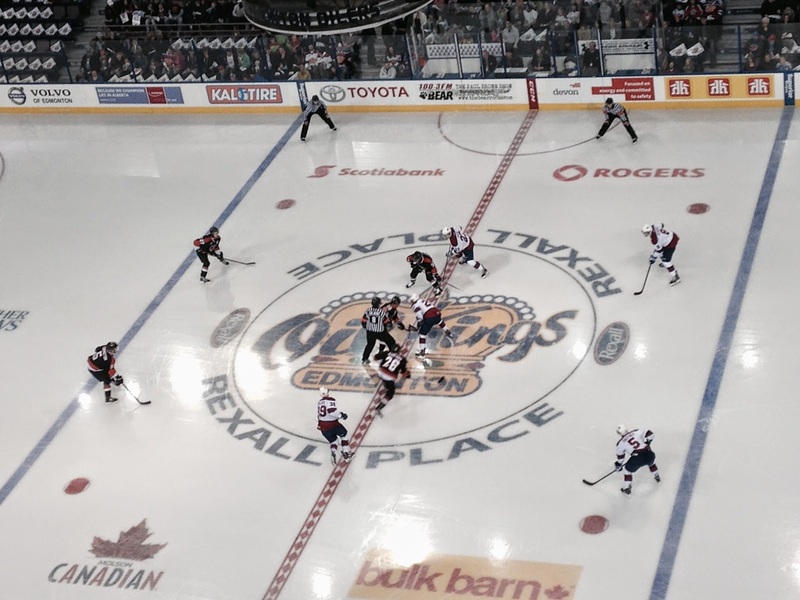 The Edmonton Oil Kings wasted little time establishing their dominance in game one of the battle royal between the Oil Kings and Wheat Kings, and never really gave Brandon a chance to reply en route to a 5-0 win Thursday night at Rexall Place. Edmonton got the ball rolling thanks to a smart, simple play from Edgars Kulda who chipped and chased down a puck then set up Brett Pollock for the games opening goal just 1:50 in. 35 ticks of the clock later another Oil King import Mads Ellar grabbed a lose puck and slid his first of the playoffs past Brandon tender and Edmonton native Jordan Papirny for a 2-0 lead as the home team outshot the visitors 12-3. The second period was more of the same as the Oil Kings peppered Papirny with 19 shots, beating him twice on goals from Ashton Sautner and Kulda for a 4-0 40 minute lead. Henrik Samuelson got off the playoff schnide in the final frame zipping one under the bar to finish out the scoring. Edmonton tripled the Wheat Kings in shots at 45-15 and went 2-7 on the power play while killing off both Brandon man advantage situations. It was a truly impressive effort by Edmonton while Brandon will need to regroup or this series won't last long. Of note, Brandon goalie and Edmonton product Curtis Honey didn't dress. Head Coach/G.M. Kelly McCrimmon told me after the game Honey was injured in practice recently and isn't available right now. The plan is to call someone up until Honey is ready to return. He did dress in the first round as back up. Pollock now has 4 goals in 5 playoff games. Tristan Jarry wasn't busy in the Oil Kings net but did make a couple of point blank saves to preserve the shut out. Curtis Lazar picked up 2 helpers, but his next goal will tie him for the all time playoff lead in Edmonton. Game 2 goes Saturday at noon Edmonton time.